Sony Xperia XZ Premium launched with 4K HDR display, Snapdragon 835, 'Motion Eye' 960fps slow mo camera. The Sony Xperia XZ Premium is the world's first smartphone to offer a 4K display with high dynamic range (HDR) support. It also comes with a new image sensor capable of shooting slow-mo videos at 960fps. Sony Xperia XZ Premium, the first smartphone to be announced with Qualcomm’s Snapdragon 835 SoC, has been benchmarked ahead of its official availability. 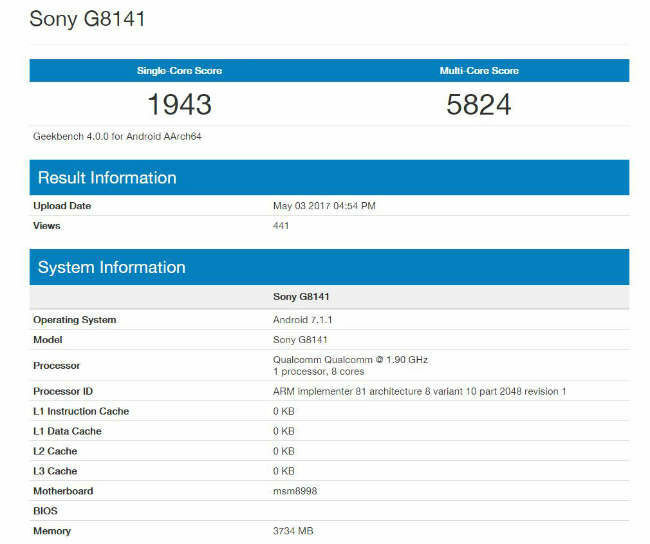 The smartphone carrying model number G8141 has scored 1943 on the single core test and 5824 on the multi-core test of Geekbench. The Geekbench listing reveals that the handset comes with 4GB of RAM and runs Android 7.1.1 Nougat operating system. To recall, the Sony Xperia XZ Premium was officially announced at Mobile World Congress in February. 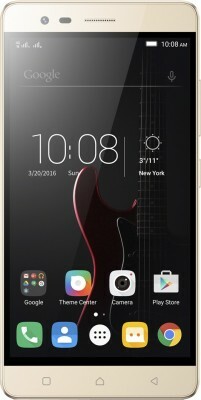 The smartphone features a 5.5-inch 4K UHD display with a resolution of 3840 x 2160 pixels and Corning Gorilla Glass 5 protection. Powering the device is Qualcomm’s Snapdragon 835 processor coupled with 4GB RAM and 64GB storage. The device also features a new 19MP MotionEye rear camera with f/2.0 aperture, same as the one seen on Xperia XZs. The handset comes with a 13MP front camera with f/2.0 aperture and support for 1080p video recording. On the connectivity front, it offers Bluetooth 5.0, GPS, NFC and USB-C port. The smartphone houses a 3230mAh battery with support for Qualcomm’s Quick Charge 3.0 fast charging.The Sony Xperia XZ Premium is likely to arrive first in the UK on May 22 for £645 (approx. Rs. 54,000). The smartphone is expected to start shipping in Germany under carrier O2, starting June 1 for €749. The smartphone will be the premium competitor to Samsung’s Galaxy S8 and LG G6 this year.